Singapore recently upgraded its in-house sound system with a Soundcraft Si2 console to easily manage all entertainment from background music to multiple live bands each night, keeping tourists, locals, musicians and celebrities continuously coming back for more. HRC Singapore was the first HRC to open in Asia more than 20 years ago. The first mixing console in use when it first opened was the Soundcraft Spirit Live. It was subsequently replaced by a Soundcraft Delta and a Soundcraft Series 8000 32 channel that was in use for more than 10 years. With a history of bringing the best in entertainment to its customers, the management and technical crew at HRC Singapore decided to replace its older Soundcraft Series 8000 console with the Soundcraft Si2. “It always comes down to the overall experience with our patrons, so we decided to concentrate on making the music really stand out. We have been using Soundcraft consoles from Day One and are very happy with their quality, sound and reliability” “With the Si2, our system has performed flawlessly and sounds great,” says Irwan Snin, Front of House Engineer. 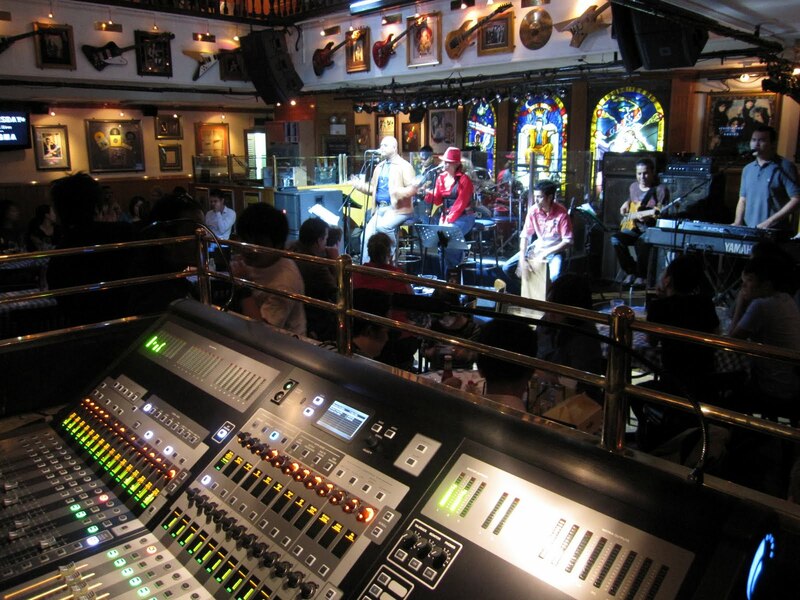 Supplied and installed by Electronics & Engineering (E&E) PTE LTD in Singapore, the Si2 continues to provide quality sound to Hard Rock Café fans every day. Established in 1951, E&E is one of Singapore’s leading A/V specialty contractors, and has represented Soundcraft for more than 20 years. 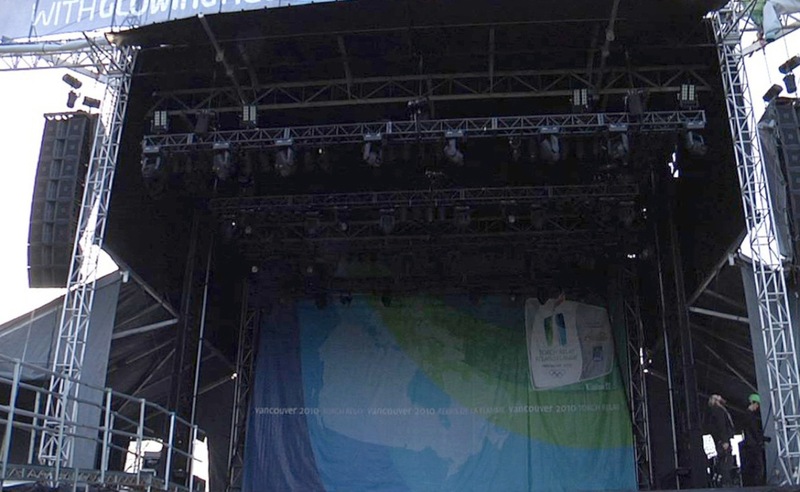 In a unique application of JBL VERTEC® line arrays, SW Audio Visual deployed a complete outdoor wintertime entertainment audio system to accommodate up to 50,000 people for the Richmond O Zone, one of the official celebration sites of the 2010 Olympic Winter Games in Vancouver, British Columbia, Canada. The O Zone was open for the duration of the Games from February 12-28, and featured live performances by some of Canada’s most successful musical artists across a broad range of genres. Situated on 60 acres in the heart of the Richmond City Centre, the O Zone featured large high-definition video screens to display the competitions, along with outdoor ice skating, art exhibits, ice sculptures and even a virtual reality bobsled attraction. The O Zone also hosted theme nights celebrating Canada’s diverse cultures and regions, including a Chinese New Year Celebration on February 14. The main stage at the O Zone featured 16 VERTEC VT4889 full-size line array elements per side, along with six VT4888DP-CN powered midsize line array elements with DrivePack® technology per side in place for out fill arrays. A total of 14 JBL SR4718 subwoofers provided supplemental low-frequency support for the system, which also included 14 JBL TTM149 stage monitors. The beginning of 2009 saw the opening of a brand-new arena in the Seattle region known as the ShoWare Center. 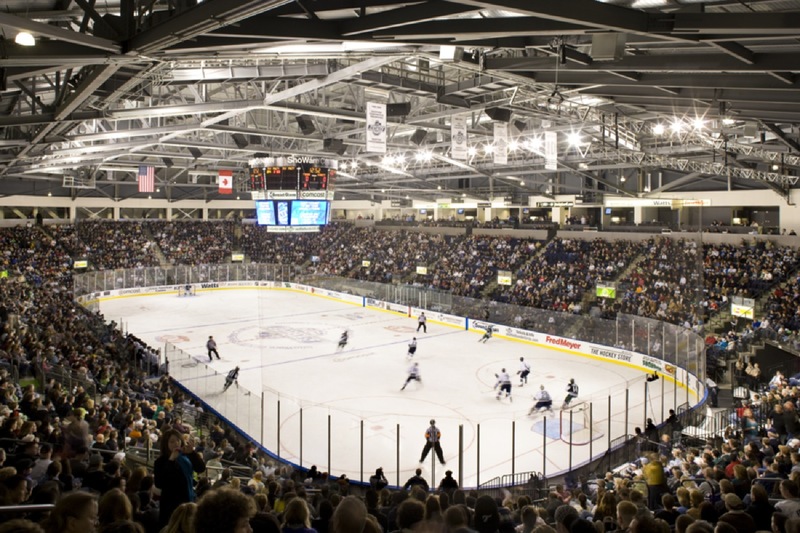 Located in the suburb of Kent, the ShoWare Center is a multi-purpose venue that plays home to the Western Hockey League’s Seattle Thunderbirds. Milwaukie, Oregon-based Delta AV and Seattle-based Sparling collaborated in the design of a state-of-the-art JBL loudspeaker system for the new arena. The ShoWare Center has a seating capacity of 6,500, with retractable seating to accommodate other events such as concerts and other sporting events. With this in mind, the arena needed a PA system that was as powerful as it was flexible. Delta AV and Sparling developed a main PA system of 12 distributed clusters featuring a range of JBL PD Series loudspeakers. The system features six JBL PD5322/64 loudspeakers, six PD5322/95 loudspeakers, 12 PD5122 loudspeakers, with eight ASB6128 subwoofers. Additionally, two PD5212/95 and two PD5212/64 loudspeakers serve as ice fills. Eighteen Crown I-Tech amplifiers power the system, which also features networked processing from BSS Audio. Harman’s HiQnet™ System Architect™ platform is used for amplifier monitoring. A new audio system at St. Francis of Assisi Church in Bend, Oregon, features JBL Professional PD Series loudspeakers, chosen to deliver the highest articulation with the least amount of speakers possible. Morgan Sound of Lynwood, Washington was responsible for the acoustic consulting and design and, using its past experience with the PD Series as the deciding factor in the choice of speakers, teamed with Anderson Group International of Eugene, Oregon for the installation. The installation at the St. Francis of Assisi Church initially presented many challenges to the team: it’s a very large space with polished concrete floors, CMU walls and granite and marble covering the substantial altar platform, all of which work together to create a very reverberant room. There was a desire to maximize the presentation of sound without filling the entire auditorium with large, overbearing speakers, which is why Morgan Sound President Charlie Morgan ultimately chose the JBL PD series, powered by Crown amplifiers. With the exceptional pattern control of the JBL speakers, the church presenters are able to reach high SPL levels when needed with excellent speech clarity. In addition to the JBL PD series loudspeakers and Crown amps, there are JBL Control 29AV loudspeakers, all of which are controlled by a BSS London processor. An analog mixer on the platform gives the choir director control of the local inputs, and there is also the option to run everything in static mode with 16 microphone channels controlled through the BSS London processor. 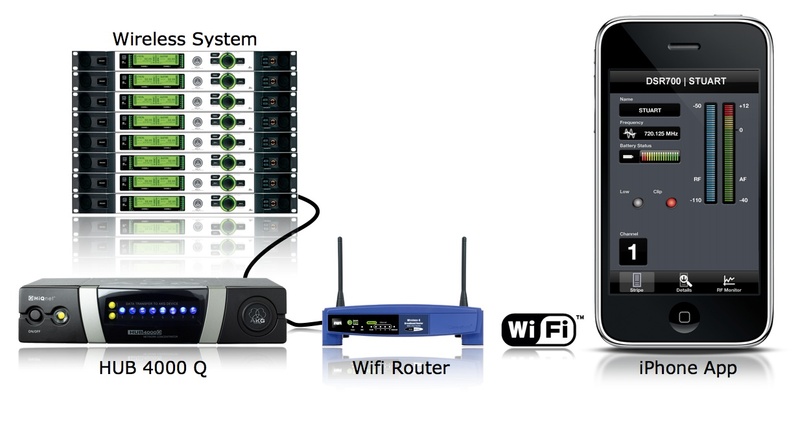 The system includes Harman’s HiQnet™ System Architect™ software for quick and easy configuration. 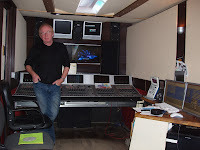 Morgan Sound, (www.morgansound.com) based in Lynnwood, WA is a 35-year veteran of live sound and design/install services. The company features a wide range of Harman products in its inventory, including JBL VERTEC Series and Crown Macro-Tech amplification. Soundcraft’s compact Si3 digital desk continues to be put through its paces in the Indian sub-continent by New Delhi-based rental company, Dhawan Electricals Pvt Ltd — most recently in front of the President of India, Smt. Pratibha Devisingh Patil. Owner Yogesh Dhawan reports that Vayu Shakti 2010, a 3-hour spectacular which took place in the remote desert location of Pokhran, Rajasthan, was attended by the Indian President and other dignitaries, including the chiefs of all the armed forces. The show included bone chilling air acrobatics, mid-air dog fights, supersonic aircrafts shelling targets, Air Force helicopters dropping tanks, and so on … all to the accompaniment of a 65-piece orchestra whose music filled the air with emotion, in recognition of the brave soldiers who fight for the country. The view from the mixer bridge may have been somewhat different than from the air traffic control tower, but for Yogesh Dhawan and sound engineer Lokesh Dhawan, this show represented the first time that all 64 inputs on their Soundcraft Si3 had been deployed, with mic feeds from the orchestra as well as the live commentators, who guided the audience through the proceedings. Building up production in such a remote location brings its own problems. Pokhran is around 50 km from the nearest city and 60km from the Pakistan border (it was the test site for India's first underground nuclear weapon detonation). Being a desert area there is scarcity of water, mobiles rarely work, newspapers don’t reach the area and neither does television. Vayu Shakti, which means ‘air power,’ was designed to provide a demonstration of the Indian Air Force’s latest warfare technology, with the show running through the daytime and after dark. All of which provided an exacting task for the Si3 (and its audio pilot). Lokesh Dhawan had to mic seven commentators (each a specialist in the different fighter aircrafts), with two mics for the VIP podium and one for the officer who provided a target briefing to the president — all assigned to Bank A of the desk. The input division of the 65-piece symphony orchestra of the Indian Air Force, consisting of brass, jazz and Indian instruments, was also assigned to Bank A, with Bank B containing the rhythm section, Bank C all the wind instruments, and Bank D the strings, which used a further eight mics. The next four inputs were from line devices (laptop and a CD player) while the other two line inputs were connected to the wireless receivers which took the commands of the aerobatic team commanders, for broadcast to the public. The final four inputs were for the Lexicon reverbs, which were used on the band. As for outputs, feeds were sent to the L/C/R line array, with eight aux for the band monitors and two for side fills. From the output matrix the video set-up received four feeds, there was a 9-camera production unit, which recorded the entire event and fed the live telecast as well as about 50 TV channels and radio. Two matrix outs were also used by Lokesh to feed the audio break-out boxes for all the electronic media — another matrix out fed a special monitor which had been provided for the Indian President in case she decided to sit in a covered enclosure specially built for her, and the final matrix provided a feed to the ATC, situated a mile away, so that they knew what was going on. “I had absolutely no difficulty of any kind, whereas with an analogue mixer it would have been impossible,” he says. 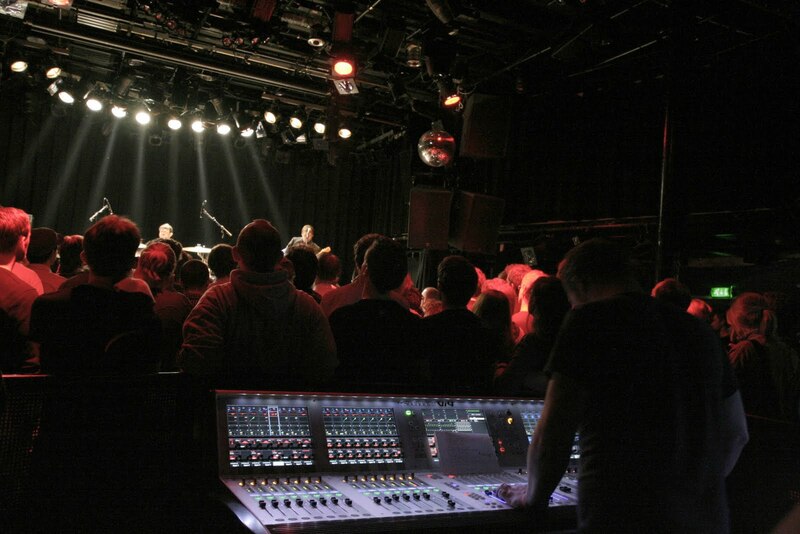 Leading Amsterdam music and arts centre, the Melkweg has purchased a multipurpose Soundcraft Vi4™ from Dutch distributors Audio XL. The technology company’s live sound manager, Jeroen van Keeken, confirms that the decision to purchase the Soundcraft platform for use in the venue’s 700-person capacity Oude Zaal (Old Room) was taken by head technician Richard Balk following extensive evaluation. He adds that the investment forms the latest phase in an extensive upgrade of the venue, which will see an increase in capacity. “Richard and his team of house engineers looked at all the leading consoles, and visited other venues. But in many cases these desks were too complicated,” he says. Richard Balk was already familiar with the Soundcraft digital topology. The Melkweg’s head of sound liked the intuitive Vistonics™ II interface — providing a fast-track learning curve for uninitiated engineers — as well as the 48-channel input capacity (on 24 faders). This provides the ideal footprint for the limited space of the second room, without the need for external outboard racks. Finally, he was impressed with the library of Lexicon effects and BSS EQ’s. Richard Balk added that the selection of the Vi4 not only unanimously met the approval of the house technicians but also guest engineers, who have been delighted to work on the surface. The overall sound quality and the support he knows he will receive from van Keeken’s team at Audio XL clinched the deal. In preparation for a further technical upgrade to their increased 1,500-person capacity main room (‘The Max’) Balk has also asked for CAT5 cables to be laid so that once the next phase is complete, they can patch between the two rooms. Lexicon®, a Harman International Company (NYSE-HAR), today has rocked the audio industry with the introduction of its groundbreaking new PCM Native Reverb Plug-In Bundle. For over 35 years Lexicon has been considered the golden standard of digital reverb and effects processing and has continuously introduced leading edge technology for the audio industry. After years of research and significant advances in computer processing speeds, Lexicon has developed the PCM Native Reverb Plug-In Bundle which provides seven legendary Lexicon reverb algorithms that are designed to deliver the highest level of sonic quality and function, and offer all the flexibility of a native plug-in. At Prolight & Sound 2010, JBL Professional is introducing its Line Array Calculator II software. Line Array Calculator II is a stand-alone application with a broad range of significant enhancements for users of JBL’s various line array system models. The new Line Array Calculator II duplicates previous LAC functionality with a similar look and feel, but is now a more refined work tool that enables system designers and setup technicians to simulate mixed-model VERTEC® arrays. This includes the entire range of system options, from the fullsize VT4889 line array element and companion VT4880 arrayable subwoofer, through midsize and compact models, to JBL’s newest additions to the VERTEC family, the VT4886 and VT4883 subcompact models. Enhanced acoustical modeling with colorized graphical representation of results includes SPL mapping, 0 dB Isobar, and SPL attenuation modes. Frequency response and SPL based on the tonal balance of JBL’s world-standard V4 DSP presets can be selected or, alternatively, maximum SPL compatible with EASE modeling predictions can be examined. Up to four frequencies can be simultaneously displayed, and up to six frequency response probes can be entered on up to four defined audience planes. Additionally, subwoofer modeling is now offered. Useful enhancements have also been made to the mechanical calculations for VERTEC arrays with updated references for suspension hardware applications. User guidelines are now in place for up to 24 enclosures per array. The state-owned Kino Centrum, in the large Slovakian town of Michalovce, has recently undergone a major refurbishment. Following the foyer came the technical control areas and main screening room--which now features a JBL cinema system, driven by Crown mission-specific cinema amplifiers. The City’s Department of Culture brought in JBL distributor AudioMaster sro, which represents all Harman Pro brands in the Slovak and Czech Republics. 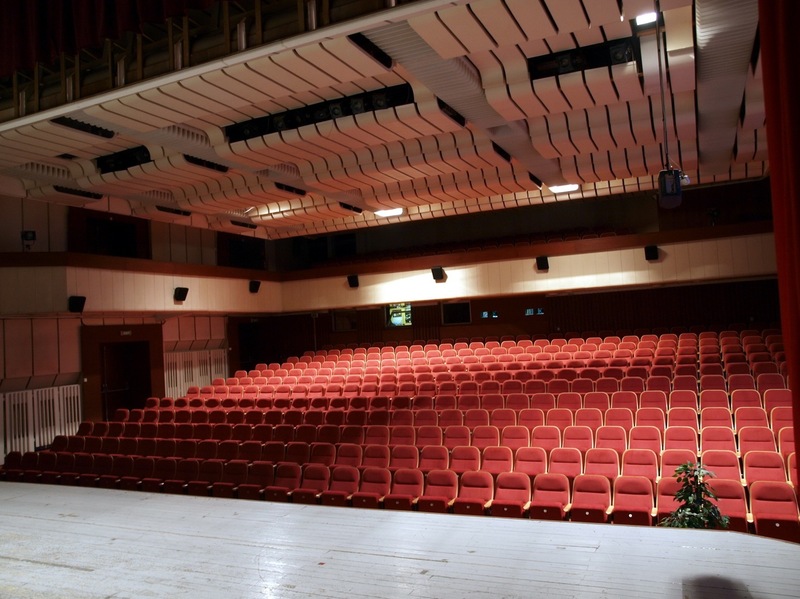 Having removed the old system, AudioMaster specified a conventional L/C/R set up behind the screen, using JBL’s ScreenArray® series cinema loudspeakers. This comprised three 3722N enclosures complemented by 4645C 18-inch high-power subwoofers, mounted close to the floor. Providing the balcony area surround sound are quantities of 2-way JBL 8320 cinema surround speakers, with JBL 8100 Series ceiling speakers for under-balcony and top of balcony infill, supported by further surface-mount JBL Control 28’s, positioned left and right at the top of the balcony. In the equipment rack the cinema specialists then specified five Crown DSi 1000 cinema amps and an XLS202D—as well as a Dolby CP650 processor. Two of the DSi 1000’s are used for the screen channels, a further DSi 1000 is run in bridge mode for the Low Frequency Effects (LFE) channel, while others are assigned to various left, right and rear channels of the JBL 8320’s and Control 28’s. The XLS202D powers the JBL 8100 back channels (under- and top-balcony) and finally a Crown DSi-8M handles the projection room monitoring. AudioMaster has built a reputation for installing cinema systems, from single-screen one-offs to complete multiplex chain rollouts; here the company worked closely alongside KVEL v.o.s., which installed and commissioned the 35mm Meopta Meo5XB projectors. The conversion at Michalovce is not to full digital but an upgrade to stereo analog, with a Dolby digital head. As a result, it now supports Dolby SR, Dolby Digital and also Dolby Digital Surround EX formats. 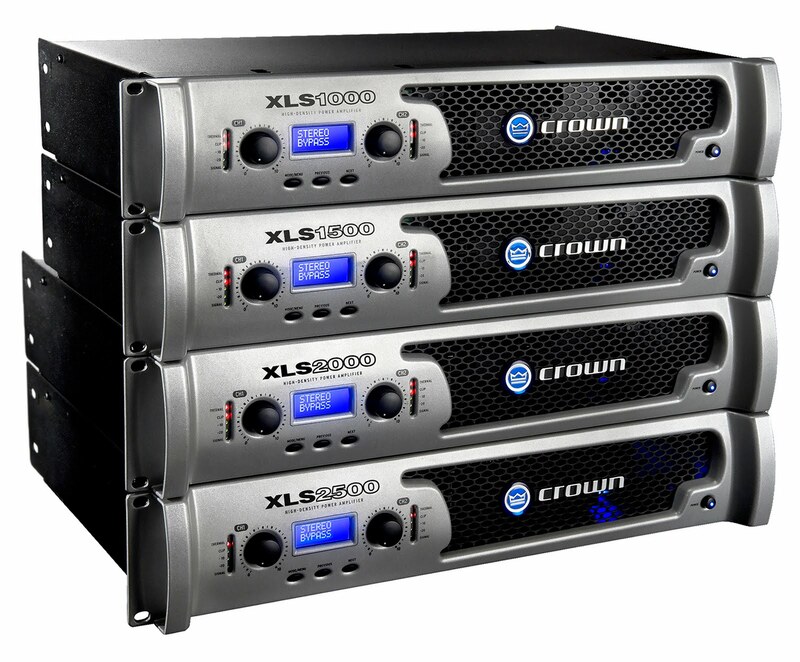 In an introduction that redefines the category of affordable and high-quality power amplifiers, Crown today announced the next generation line of XLS Series amplifiers, providing a new benchmark for amplifiers in the MI category. The new line – consisting of four models and offering an unprecedented level of performance and configuration flexibility will usher in a new era of power amplification at the entry level. 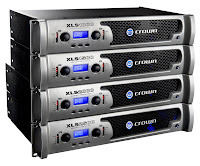 In another major advance, the new XLS series amplifiers feature Integrated DriveCore™ Technology Regardless of AC Line sag or distortion due to other equipment such as backline or lighting gear, the user will consistently have the highest level of performance as though there is a power conditioner built directly into the amplifier. It also provides fast recovery on peaks, accurate reproduction of low-level detail, and precise tracking of low-frequencies at high power levels for maximum subwoofer output. XLS Series amplifiers conform to Harman Professional’s Green Edge™ environmental initiative. Crown’s new advanced circuit components use fewer resources in manufacturing, but have also contributed to significant weight reduction in the amplifiers that result in less energy consumption. The XLS amplifier’s high operating efficiency translates into greater efficiency for each watt of output and a significantly reduced carbon footprint. With more artists swapping time in the studio for time spent on the computer, recording studios need to differentiate themselves now more than ever in order to survive and thrive. 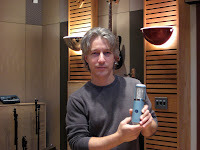 Keeping that in mind, GRAMMY-nominated engineer/producer Hal Winer makes certain that his facility, BiCoastal Music, offers something that computer programs can not: a warm, smooth and rich vintage sound provided by his new AKG Perception 820 Tube mic. Winer has been using the Perception 820 Tube in every recording since he first acquired it, applying it to both lead and backing vocals as well as guitar, bass and various other feature instruments. As the flagship for AKG’s Perception series of microphones, the Perception 820 Tube was specifically designed and perfectly suited for use in studios like BiCoastal, where clarity and precision is key. It has a dual 1-inch true condenser large diaphragm that leaves it perfectly suited for lead vocals, brass instruments, overhead miking and many other applications, and the ECC 83 dual-triode tube circuitry and output transformer emphasize even-order harmonics for rich, smooth and 3-dimensional sound. The elegant remote control unit allows selection of nine different pickup patterns and provides a switchable second-order bass-cut filter. For Winer, the Perception 820 Tube is just the latest addition to what has been a 20-year development of his BiCoastal Music Studio facility. What started with a mixing board in his bedroom and some microphones in the living room has progressively grown into a spacious, acoustically correct recording studio that rivals even the most noteworthy world-class recording facilities. After being nominated for a GRAMMY for his work with Jack Wilkins in 2002, Winer began hosting Jazz and rock artists at his studio in Ossining, New York. Today, he sees a wide variety of musical styles; from indie-rockers to hip-hop artists. Winer has worked with some of the most popular artists in the industry, including Rob Thomas, Tony Levin, Mike Stern, Art Garfunkel, Björk, Joe Lynn Turner, and more. Regardless of the musical style, he says that the he can turn to the Perception 820 Tube for all of his recording needs. The unique ‘Auto Complete’ feature allows ‘one-touch’ patching of multiple I/O points to channels or buses to save valuable time and avoid mistakes when requiring to re-patch lots of inputs or outputs for example, when switching all input sources to the MADI card for a virtual sound check. To complement the patching and DSP increase, fader layers have been updated to improve the workflow and allow full ‘multi-user operation’ on an Si3 as both the left and right sides of the console can now access the same channels at the same time. Many users have asked for a smaller, lower-priced desk that still has the acclaimed VistonicsTM user interface, and of course the now-legendary optimal sound quality established with the Vi Series. So here it is, the Soundcraft Vi1TM. What’s really cool about the Vi1 though, is the new Widescreen Vistonics interface, which will be instantly familiar to anyone who’s driven a Vi6 or Vi4, as well as retaining the same ‘walk-up’ user-friendliness of the other Vi consoles. This new development displays all parameters for 16 channels side by side, on a single 22” Vistonics touch screen. The upper half of the screen handles the Output section control as well as Cue List or Menu displays. Parameter control is via two rows of 16 rotary encoders. Exactly the same channel functionality as the Vi6 and Vi4 is available here, along with all the same core snapshot, talkback and monitoring facilities. Naturally, the Vi1 inherits many of the facilities of its larger siblings, including Soundcraft FaderGlowTM, 4 stereo Lexicon effects engines, BSS Audio graphic EQs on all output busses, and integral dynamics on all channels. 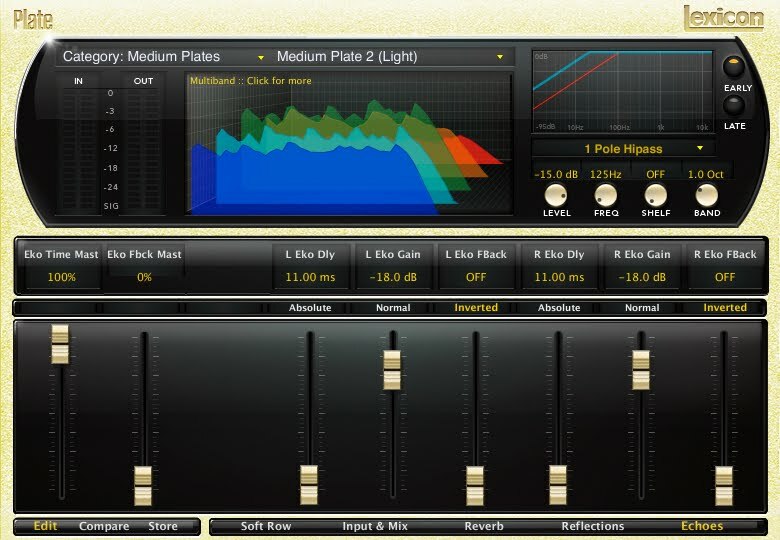 The desk is compatible with Vi4 and Vi6 show files through the Virtual Vi offline editor, which is available as a free download from www.soundcraft.com. As you’d expect, the price of the Vi1 is extremely attractive, starting at around £15,000 UK list, which is sure to make it a clear winner with engineers and sound companies. Lexicon®, a Harman International Company (NYSE-HAR), has again rocked the foundations of the audio industry with the introduction of the LXP Native Reverb Plug-In Bundle. 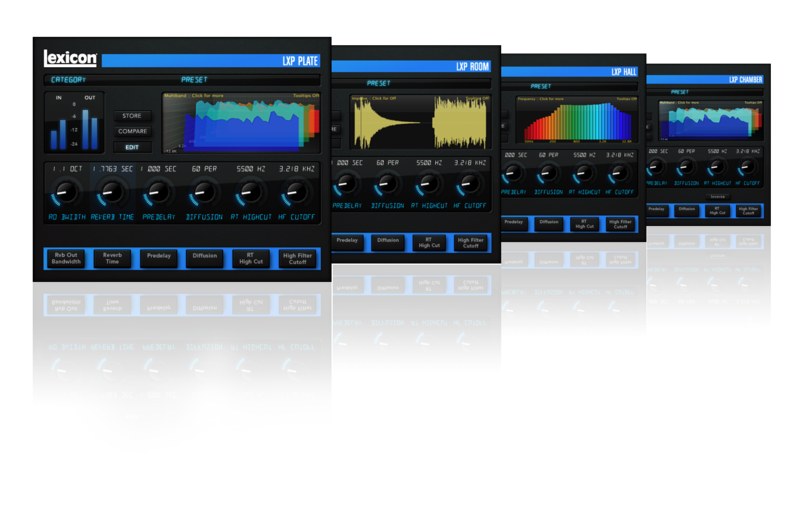 This powerful reverb bundle is a collection of Lexicon’s four most popular reverbs that are now available as efficient, multi-platform native software plug-ins. The LXP Bundle was specifically developed for project and professional recording engineers, as well as artists that want to envelope their mix with that magical “Lexicon sound” that delivers the clarity, depth and fullness that can only be created when recording in a major studio. JBL Professional is introducing its new DPDA (DrivePack Digital Audio) input module with BSS Omnidrive HD signal processing onboard, for use with all JBL DrivePack®-equipped powered speaker systems. This full-featured product leverages the modular nature of JBL DrivePack technology, and can be easily installed as an upgrade to all DP Series fullsize, midsize and compact line array elements and subwoofers along with all of the premium powered system models in JBL’s Venue Performance Series. The HiQnet™-compatible DPDA input module, remotely controlled with Harman’s System Architect software, can function as an audio and networking technology upgrade to enhance the performance of any DrivePack-equipped speaker system, regardless of model or application. BSS Omnidrive HD signal processing with F.I.R.filters and LevelMAX™ multi-stage limiting makes the advantages of BSS’ legendary signal processing algorithms available to JBL powered speaker system owners. In addition, other key features include both XLR and rugged Ethercon connectors plus a native Ethernet switch for simplified cabling and improved connectivity, AES/EBU digital audio for cleaner, clearer audio performance without the need for external converter products, and a unique loudspeaker box and array I.D. mechanism that makes the setup of complex touring systems go more smoothly. In addition to the availability of retrofit DPDA input modules for upgrading existing JBL DrivePack-equipped speaker system inventories worldwide, JBL will be incorporating the DPDA module into all powered speaker models in the VERTEC® DP Series and Venue Performance Series product lines. At Prolight & Sound 2010, JBL Professional is introducing its Constant Beamwidth Technology (CBT) Calculator 1.00 software. The CBT Calculator shows the vertical coverage of JBL CBT line array column loudspeakers by means of an on-screen, cross-sectional sound level coverage display at user-selectable frequencies. 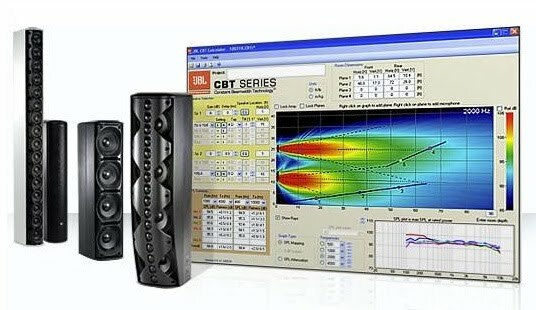 The CBT Calculator allows the use of either one or two JBL Professional CBT loudspeakers, while virtually adjusting their various settings for vertical coverage (narrow or broad) and voicing (speech or music/flat) in a space with up to four independent listening planes. The software also shows frequency response for up to six listener locations as well as an SPL summary of each location over user-defined frequency bands. With this new software, system designers will be able to determine the best CBT model, the proper vertical coverage and voicing settings, mounting height and down angle, enabling accurate design of the CBT column line array speakers into virtually any application. The CBT Calculator is available and free to download at: www.JBLPro.com/CBTCalculator. JBL’s CBT Series line array column loudspeakers are the first speakers to incorporate JBL’s newly-introduced and patented Constant Beamwidth Technology™. This technology uses passive beam-forming components to--for the first time ever--deliver constant directivity coverage from a non-powered column, resulting in consistent frequency response at every listener location. CBT introduces a number of technological firsts, including the ability to switch the vertical coverage pattern of a non-powered speaker with a simple switch. The CBT 70J provides non-symmetrical vertical coverage, sending more sound toward the far area of the room than to the near area, resulting in more consistent sound levels within the room from front to back. Models range from an ultra-compact column all the up to a large 2-way, high-fidelity 1,000-Watt full-range model, all at a fraction of the cost of powered digitally-steered columns. 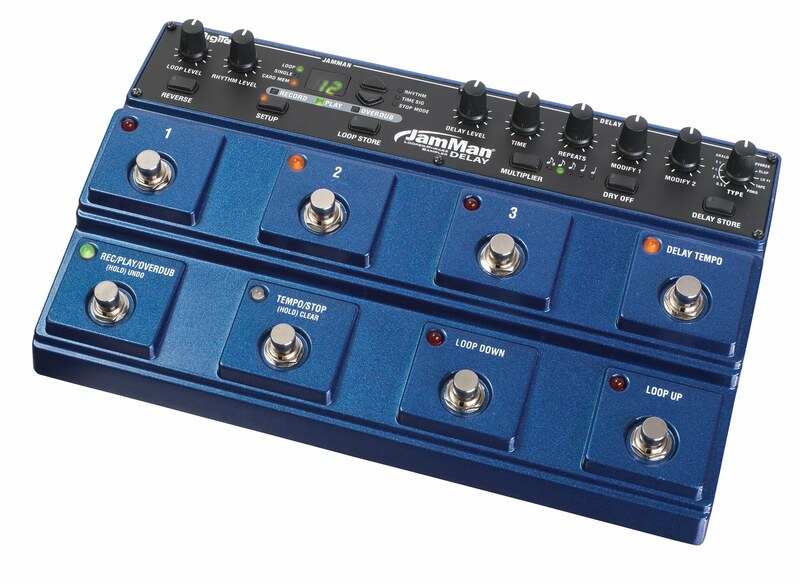 The newest addition to the DigiTech JamMan line offers 16 seconds of stereo delay time, a tap tempo footswitch and expression pedal input for full morphing capability per each of its eight delay types or control of the looper playback. The looper’s stereo delay can be recalled through three fully programmable presets via dedicated footswitches. dbx® Professional Products, a Harman International Company (NYSE-HAR), today introduced the Media Engine for its SC Digital Matrix Processors. As a factory option, the Media Engine brings cost-effective, flash-based, multi-channel playback of stored media to the SC 32 and SC 64. 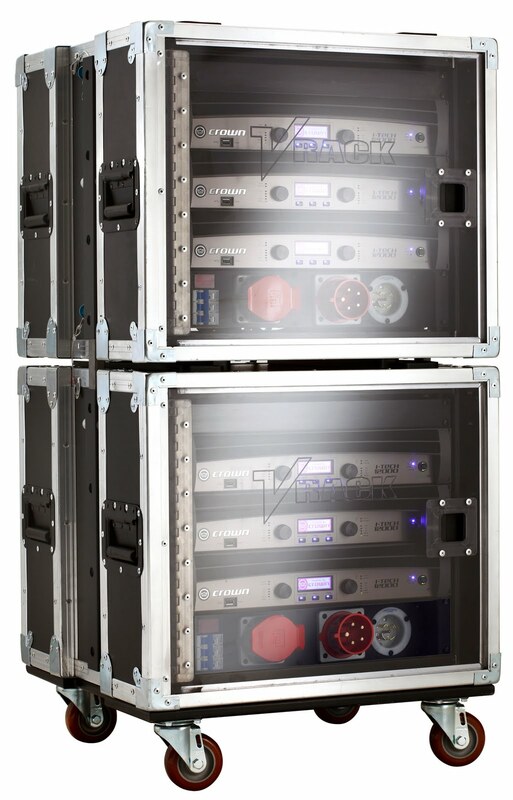 In an introduction that provides touring professionals with a complete turnkey, out-of-the-box amplifier management solution, Crown today introduced VRACK, a complete amplifier management rack system solution. The VRACK features three built-in Crown I-Tech 12000HD amplifiers, immediately providing an easy-to-configure, plug-and-play solution that eliminates the need to build amplifier racks. Designed to work in conjunction with JBL VerTec, VRX, and AE series loudspeakers, the system’s modular design is highly scalable and is designed to meet the needs of both small and large sound systems. 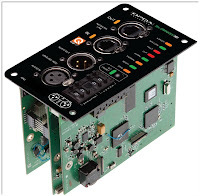 VRACK features a flexible input panel with AES, analog, and network inputs as well as rear rack lighting for multiple connection options. A captive suspension system offers the capability for the rack to be flown in the same manner as a line array system. The system also features a globally universal power distribution system that with the flip of a switch can be set to meet US and international power standards. Advanced features of VRACK include built-in network and AES failover for protection of speakers in case of power loss. 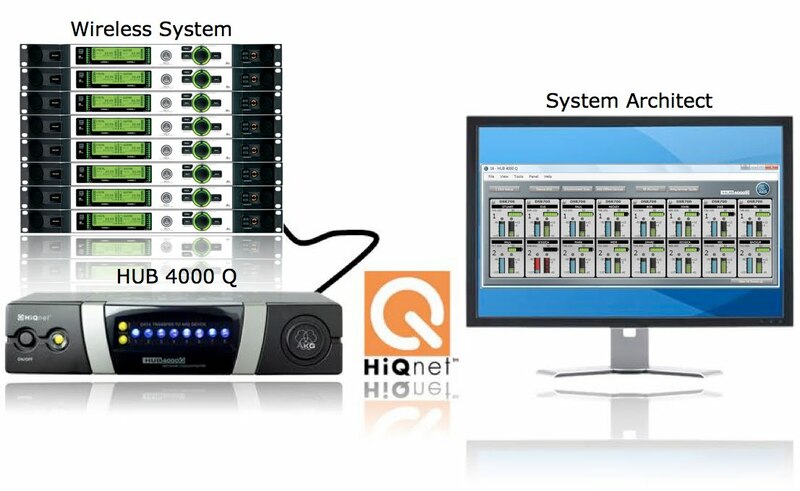 Harman HiQnet™ System Architect™ provides control though monitoring and adjustment on a rack-by-rack basis and the ability to make changes to all three amplifiers through a single interface. I-Tech HD amplifiers included with VRACK feature a user-inspired DSP engine co-developed with BSS and Linear Phase FIR filters that offer unrivaled performance. Crown’s Class-I amplifier technology makes I-Tech HD robust and easy to configure and features an industry-leading choice of input options including CobraNet and LevelMax™ limiters (Peak, Thermal and RMS). “VRACK answers the question that tour sound professionals have consistently been asking: How can we optimize our JBL and Crown systems for the highest level of performance? VRACK is a standard solution from Crown in partnership with JBL to set the standard for VerTec systems everywhere in the world. Given its versatility, it can be used on VerTec one day and then a monitor rack the next day,” stated Marc Kellom, Vice President of Marketing for Crown. VRACK ships fully assembled, tested and ready to work right out of the box. The complete system weighs approximately 163 pounds. "V-Rack is an exciting step forward in the ongoing evolution of VerTec and the outcome of a close collaboration between Crown International and JBL Professional. V-Rack ensures an optimum power match for all VerTec models combined with uncompromised sound quality. V-Rack establishes a VerTec system standard to ensure consistent performance on a world-wide basis. On the software side, V-Rack offers a future-proof platform capable of implementing upcoming VerTec V5 presets and we are also working closely with the Harman Professional System Development and Integration Group on V-Rack control software that is fully-optimized for tour sound applications," stated Paul Bauman, Director, Tour Sound Product and Application Engineering for JBL Professional. AKG is presenting the next addition to its long line of automatic microphone mixers with the DMM 4/2/4 at Musikmesse in March. Designed as a studio version of the DMM 4/2/2, the DMM 4/2/4 is designed with a unique and highly effective mixing algorithm that gives it the flexibility to handle nearly any mixing application, from boardrooms to broadcast studios and even houses of worship. Following the successful opening of international sales offices in Kuala Lumpur, Malaysia and San Juan, Puerto Rico and bringing Harman Professional an important step closer to the deployment of international field sales offices in all of its global territories, the company today announced the establishment of a dedicated sales office to serve the EMEA territory. Located in Potters Bar, England, the Harman EMEA Sales office will be led by professional audio sales veteran Dave Karlsen, who is promoted from his role as Director of International Sales for Harman Music Group to Senior Director of Sales, EMEA with responsibility for Harman Professional sales management and support for all brands in Europe, the Middle East and Africa. Effective July 1, 2010, Karlsen will lead the team of sales professionals and application engineers and Harman Professional’s newly launched EMEA order entry team. He will report to Scott Robbins, Harman Professional Vice President of Sales, who today noted Karlsen’s experience and leadership as key reasons why he will be an asset to Harman Professional distributors in the EMEA territory. From sold-out Rihanna concerts to the UK’s popular TV show The X-Factor, RedTX has been the driving force behind many of the UK’s live broadcast performances for years. Providing sound for such a wide array of performances and events, the company has needed an arsenal of equipment that’s reflective of its services, which include versatility, functionality, and usability. It is because of this that RedTX recently purchased a Studer Vista 8 digital console for all of its recording and broadcast needs. Hitachi America, Ltd., Digital Media Division, Business Solutions Group, is introducing the CP-A200 3LCD projector, adding to its industry-leading collection of ultra-short-throw projectors. The CP-A200 offers a brightness of 3,000 lumens and can display a 60-inch diagonal image from a throw distance of 18.5 inches. This not only prevents image obstruction, but it also means that there are no shadows interfering with the image and the absence of light in the presenter’s face. The CP-A200 features Perfect Fit 2, an update to Hitachi’s proprietary Perfect Fit function, which enables quick adjustment of the projected image by moving its four corners and four sides one at a time. With Perfect Fit 2, making adjustments is easy with the remote control and on-screen operating menu. The CP-A200 also offers a Template Function, projecting lines, making it easier to write on a whiteboard or blackboard. Users can choose four types of different lines depending on the color of the background. The CP-A200 addresses potential security issues with functions such as multilevel PIN locks, a security bar and a Kensington slot. Moreover, the CP-A200 is easy to use, featuring advanced connectivity and proprietary Hitachi functions including My Buttons, Input Source Naming and My Text. Easy maintenance is another attractive function of the CP-A200, as its lamp door is on top of the model, and the projector’s 2,000-hour hybrid filter is located on the back, allowing for easy access. The CP-A200 offers additional versatility with its Whiteboard, Blackboard or Day Time Modes. An overview of the new audio system design and workflow philosophies introduced in the next generation of HiQnet System Architect software, which together with the configuration of Ethernet AVB network dramatically impact the design process for the system designer. This panel discussion will explore the role of the IEEE 802.1 Audio/Video Bridging (AVB) Standards in the professional AV industry, as well as consumer electronics and automotive applications. An in-depth explanation of AVB and related IEEE standards will be presented, followed by a discussion of the advantages of an open non-proprietary technology, the role of silicon makers to ensure a cost-effective solution and the critical role that a compliance program will play to ensure interoperability of AVB devices. Hitachi Software Engineering America, Ltd. today announced the appointment of Marjorie Fox to National Sales and Marketing Manager. In her new role, Ms. Fox will work with Hitachi’s Education and Training Consultants to liaison with customers at various education and corporate institutions throughout the country as well as overseeing all marketing efforts for Hitachi Software. Before joining Hitachi, Ms. Fox served as Vice President, National Sales for Knowledge Delivery Systems, an online company specializing in professional development for educators. Ms. Fox also previously was the Director, Strategic Partnerships for Kaplan K12 Learning Services, a supplemental curriculum and test preparation company. Prior to embarking on a career in sales and marketing, Ms. Fox spent 11 years as teacher in the New York City school system. “Marjorie brings a wealth of professional experience and provides a keen understanding of the markets we serve and how our technology can benefit them. We are excited to have Marjorie join our team and begin to interact with our customers as well as create greater brand awareness of the benefits of our interactive presentation solutions,” said Ted Wakabayashi, president of Hitachi Software Engineering. “I know from my experience in the education field that Hitachi produces outstanding presentation solutions, and its leadership in the interactive whiteboard technology is well known. Hitachi’s products have always been associated with a high level of innovation, reliability and outstanding customer service, and I look forward to joining the team and furthering Hitachi’s position in the education and corporate markets,” stated Ms. Fox. Hitachi Software Engineering America, Ltd. today announced that its StarBoard Software 9.0.1 for Mac will now support Apple’s Snow Leopard operating system. The upgrade will ensure that the greatest population of StarBoard users with Mac hardware are able to effectively and easily deploy the StarBoard software. Featuring an easy to use interface, StarBoard Software 9.0.1 was designed with an eye on the industry-wide trend surrounding operating systems that are migrating towards utilizing touch capability. The software’s icons are more intuitive and provide users with a natural sense of functionality. Hitachi StarBoard Software 9.0.1 for Mac offers users similar functionality as its Windows version, including a top menu bar for easy accessibility, a side bar menu that can toggle to either side of the screen, drag-and-drop tools to create a shortcut button on a page and a customizable color palette. “Hitachi is committed to providing Mac users with the capability to take full advantage of the StarBoard Software. We will continue to ensure our software is aligned with current operating systems and give Hitachi StarBoard customers the greatest ease of use with our products,” stated John Glad, Hitachi America, Ltd., Digital Media Division, Business Solutions Group. Designing sound systems for courtroom applications presents a host of challenges: acoustical, electrical and application-specific requirements make courtroom systems the most mission critical audio installations in the marketplace. After four subpar audio installations at the Payne County Courthouse in Oklahoma, Judge Worthington and the courthouse administration approached Aspen Custom Electronics with a special request to upgrade the courthouse audio system for good. Using an arsenal of AKG equipment which includes the WMS450 Wireless body pack, a DMM 4/2/2 Audio Mixer and two GN30 Goosenecks, Aspen Custom Electronics was able to do what four companies before it could not: install a clear and powerful audio system that exceeds everyone’s expectations. According to Matt Hall, project manager for Aspen Custom Electronics, the courthouse’s audio system required so many revisions because of its many acoustical anomalies. Built in 1917, it was designed to provide optimal voice projection without the use of a PA system, so even the smallest sounds reverberate throughout the room, and a good portion of the front is covered in marble. What’s more, the witness is able to turn up to 180 degrees while on the stand, looking from judge to jury, and many of the times their voice is very low and withdrawn. It was clear to Hall that the audio system needed to be clear and focused. After reviewing the layout of the courthouse, Aspen Custom Electronics decided on a GN15 Gooseneck at the judges desk, one GN30 Gooseneck at the attorney’s lectern and one at the witness stand, a WMS450 wireless body pack at the attorney’s lectern and a DMM 4/2/2 Audio Mixer for the whole courthouse. Each mic – for the judge, attorney and witness – uses a ST45 stand and a CK80 Mic Module. The performance of the audio system has exceeded expectations of both Aspen Custom Electronics and members of the court. The witness stand microphone, which was the biggest problem before the installation, delivers clear, intelligible sound no matter which direction they are looking and the judge and court reporter can now hear everything without fail. In addition to the AKG components, the system features a dbx AFS224 processor and a Crown 180A amplifier. Immediately positioning itself as a leader in higher education classroom technology, Oregon State University has chosen Hitachi Software StarBoard interactive whiteboards for its new interactive learning environment in Physics classrooms. Purchased through Troxell Communications, the University is deploying the Hitachi FXDUO-77 model StarBoards along with the award-winning Hitachi CP-A100 3LCD ultra-short-throw projector as part of the Hitachi Ultra Short Throw Bundle solution. In addition to the technology advantages, Mr. DeMello believed the training and support offered by Hitachi was also instrumental in the University effectively implementing the technology. “Molly Montoya, education and training consultant for Hitachi Software, provided our faculty with three hour-long introduction sessions in the fall and we had over 30 faculty members attend the training sessions,” stated Mr. DeMello. Beginning in the Spring 2010 term, the Physics Department will have officially begun teaching its calculus-based Physics courses, while utilizing the new Hitachi interactive whiteboard technology. “I strongly believe that if students are actively engaged in the learning environment, it allows them to use and practice skills and lessons they are being introduced to. Also, the ability to witness others work in a collaborative environment provides them with a better perspective,” added Mr. DeMello. For more information on Troxell Communications visit www.trox.com. In one of the world’s most popular music festivals, College Hill Productions supplied the live sound services for the Auckland date of Big Day Out on January 15. The event featured performances by some of today’s biggest artists, including Lily Allen, The Mars Volta, Jet, Kasabian, The Decemberists and Fear Factory. Big Day Out featured two main stages next to each other, enabling one act to perform on one stage immediately following the conclusion of another performance on the adjacent stage. At the front-of-house position at each stage, College Hill’s FOH system engineers Kevin Bennett and Leon Dalton used a 96-channel Soundcraft Vi6™ console with fiber multicores. Both systems utilized the onboard Lexicon effects packages built into the Vi6. In addition, the electronic group Groove Armada used a third Vi6 in the dance tent. Part of Soundcraft’s Vi Series of consoles, the Vi6 features the patented Vistonics™ II interface, which offers the ease of use and intuitive operability of an analog surface, but with the speed and efficiency that is only possible with a digital console. The Vi6’s 64 mono inputs are expandable up to 96 (as was the case at Big Day Out) into 35 outputs. With a long history of providing sound for some of the most high profile public figures in the world, Tennessee Concert Sound in Brownsville, Tennessee has been turning to AKG for all of their live performance needs for over 25 years. This past December, the professional sound company, led by Stewart Tritt, turned to AKG yet again in selecting a podium microphone with CK-80 capsule to ensure that every word of Condoleezza Rice’s speech was heard throughout all of the Carl Perkins Civic Center. 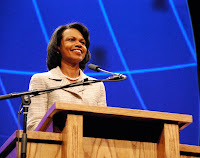 The former Secretary of State was the keynote speaker for Union University’s Annual Scholarship banquet; a yearly event that consistently attracts leading international diplomats such as former President George Bush, former Prime Minister Margaret Thatcher and former Soviet Premiere Mikhail Gorbachev. For the past 12 years, Tennessee Concert Sound has handled sound reinforcement and production management for each event, and they have built a large inventory of AKG products in the process. For this most recent event, in addition to the podium microphone using the CK-80 capsule, Union University President Dr. Dockery used the AKG 4000 frequency agile wireless system with CK 77 lavalier microphone to deliver the opening and closing presentations. In addition to the speeches, choral and classical music selections were performed leading up to the main event, and Tennessee Concert Sound turned to a dbx Drive Rack 4800 to drive the system. Along with Tritt, other principals include Bernie Bernil, who serves as the firm’s resident sound designer and consultant, along with Andy Roark, the company’s lead audio engineer and crew chief. As Nigeria’s foremost provider of television content and production, Ultima Limited has been using Harman Professional products to drive some of Nigeria’s most successful programs. For five seasons of “Who Wants To Be A Millionaire” and two seasons of “Project Fame,” Ultima Limited has used JBL loudspeakers, AKG microphones, Crown amplifiers and dbx processors installed by ET Quake Multimedia to become Nigeria’s premier television production company. Also included in the audio system is an array of other Harman Professional products including various AKG microphones like the D5 and the WMS40 Pro Flexx, 20 dbx 266 XLs set up in the production room, and Crown XTi1000 amplifiers. For a show like “Project Fame,” where 15 hopeful musicians, singers, and dancers battle it out on a weekly basis to win the grand prize, a versatile system that provides optimal clarity and intelligibility was essential. There was also a need for a system that could fit into a small space but deliver powerful sound at the same time, and the JBL VRX918SP speakers satisfied those requirements with ease. In addition to the JBL VRX928LA, VRX918SP, and VRX-SMAF speakers, AKG microphones, Crown amplifiers, and dbx processors, ET Quake Multimedia also installed a Soundcraft MH2-44 console for its intelligent clarity and definition as well as a number of Lexicon processors. With all of the Harman Professional products in place, system engineers were able to utilize Harman’s HiQnet™ System Architect™ to plug and play the sound with ease.